A vaccine for Lyme disease was shelved years ago. Is it time to bring it back? Dogs and horses can be vaccinated against Lyme disease, but an inoculation for humans was taken off the market in 2002. As the ticks that can cause the disease become more common, some researchers are saying it's time the vaccine made a comeback. 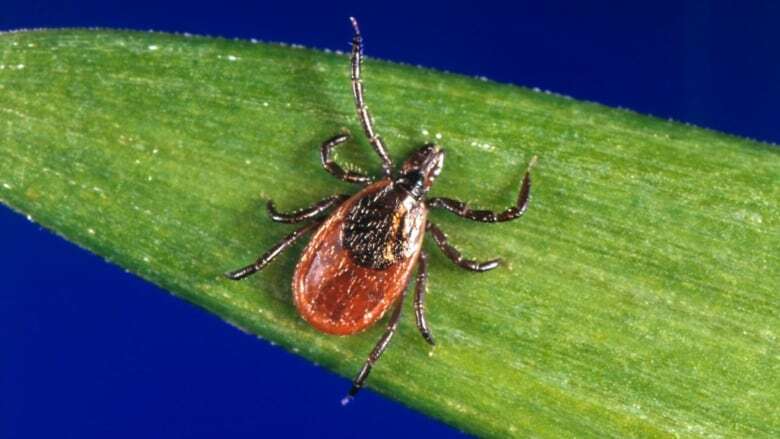 Ticks that carry Lyme disease are becoming more common in Canada, but while dogs and horses can get vaccinated against it, humans can't. But that wasn't always the case. There used to be a vaccine called LYMErix, which was available to people for several years in the 1990s before being taken off the market in 2002. The drug was originally shelved, in part, because of fears around side-effects, which were reported as including joint pain and arthritis. But one of the researchers involved says those side-effects were not proven. "We could have prevented hundreds of thousands of cases of Lyme disease had that vaccine been deployed all these years," said Sam Telford, who was part of the original research and development team for the LYMErix vaccine. As our climate gets warmer, ticks are becoming more common. About 20 per cent of the bugs carry the bacteria that causes the disease. In the face of that rising risk of contracting the disease, Telford wants to bring the vaccine back. What's a cottager to do? Tara Moriarty gave guest host Gillian Findlay some tips to keep the ticks away. Tuck your socks into your pants. Don't walk in tall grassy areas. Cut down any long grass in your backyard. Throw your clothes into the dryer to kill any ticks that may remain on your clothing. Last year the federal government announced it was spending $4 million to fund research into fighting Lyme disease. Warmer temperatures are driving black-legged ticks into more parts of Canada than ever before — and they're bringing Lyme disease with them. Tara Moriarty, scientific director of the Canadian Lyme Disease Network, doesn't think there is time to wait for new funding or new drugs to be developed. Moriarty tells The Current's guest host Gillian Findlay that treatment of the disease is made doubly difficult because some doctors don't know what to look for. "A major concern is that a lot of family physicians may not have seen Lyme disease yet and may not be comfortable with or be experienced diagnosing it." Written by Samira Mohyeddin. This segment was produced by The Current's Willow Smith and Samira Mohyeddin.